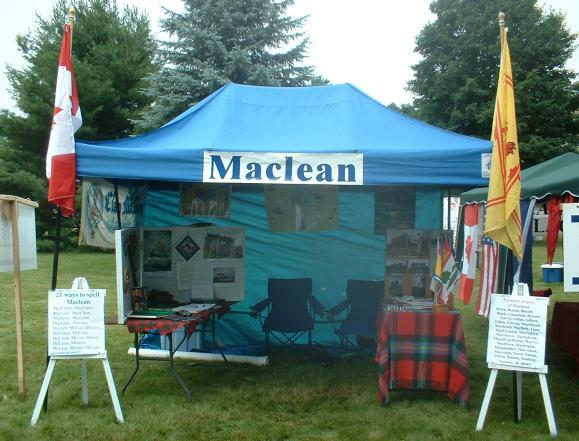 Outside the Maclean tent at the 2004 Highland Games in Fredericton. 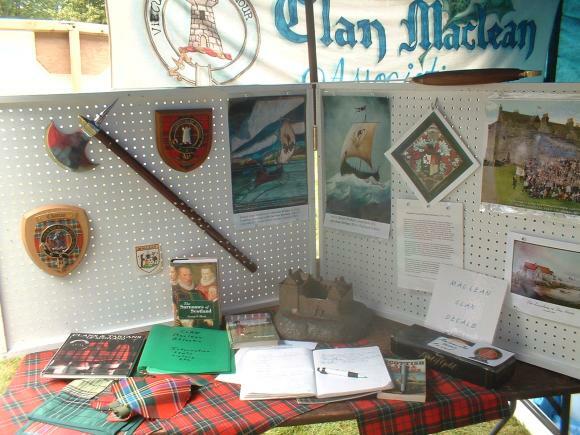 Clan Maclean Atlantic tries to be represented at all major Scottish events in Atlantic Canada. 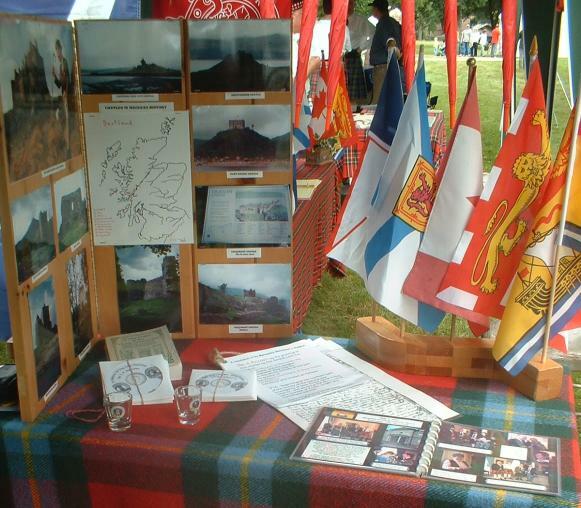 Inside the Maclean tent at the 2004 Highland Games in Fredericton. You can see many Maclean related photos and items in this picture. Inside the Maclean tent at the 2004 Highland Games in Fredericton. You can see many more Maclean items in this picture.